Presenting the lightweight mist that intensifies color, soothes skin, and extends the wear of your makeup. At VIOLET GREY we believe M·A·C is synonymous with performance. Just ask our artist community, the members of whom deem an array of heroes from the storied brand as essential for their kit—and approved by the Violet Code. 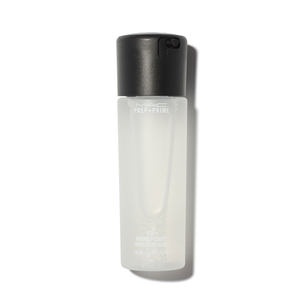 One of those favorites is the Prep + Prime Fix +, a vitamin- and mineral-packed lightweight mist that offers maximum versatility. The cult classic—which is infused with green tea, chamomile, and cucumber—soothes and hydrates skin, sets and prolongs makeup, sheers out foundation, and intensifies color. Think of it as the holy grail of mists. 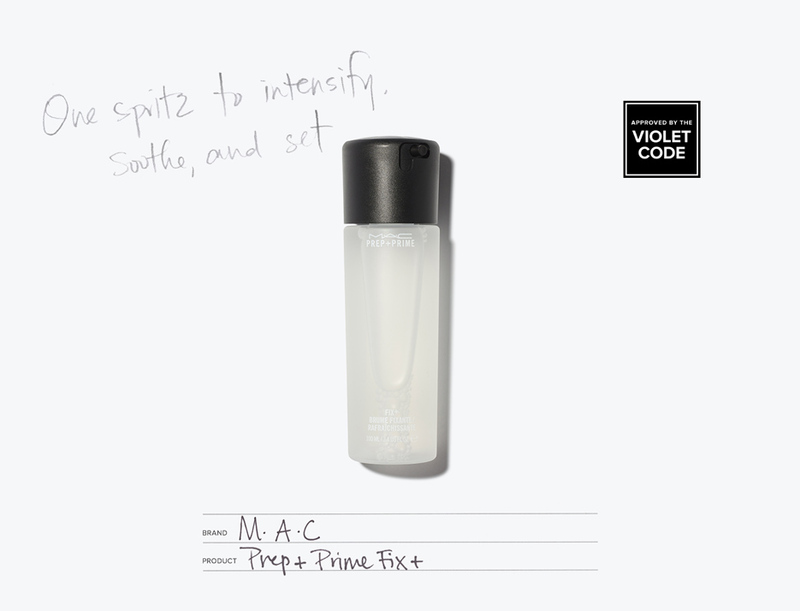 Hold the bottle about 12 inches from your face and spritz to set makeup and hydrate. With eyeshadow, apply your favorite shade or pigment to a brush and lightly mist the bristles. Sweep it across your lids for an intensified eye look.